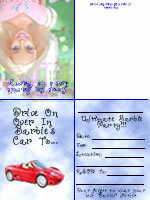 All the Free Printable Birthday Cards ideas fit right in with the Barbie Theme on this website. I hope you check it out!!! 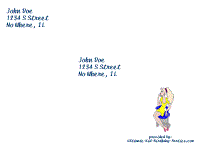 Every invitation, envelope, certificate, etc, is for your personal use for FREE. Now that you have the reader software, let's get started. The first page of each invitation, certificate, envelope, etc, is the instruction sheet on how to complete and print each item. If you follow the simple instructions, your cards will be perfect. PARTY CONTEST Submit your best ideas for a chance to win! 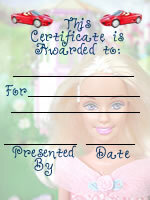 First Birthday Party IdeasLooking for the greatest ideas for your child's first? Ultimate PresentTons of ideas for that perfect gift! Welcome to the New Year! What an exciting one it is going to be for UKBP! This year is going to be an opportunity to continue growing the BEST party idea website out there. How can it get better, faster? Easy, submit your party ideas, which will help increase the number of ideas that much faster. 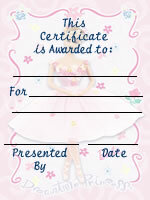 Keep your eyes open for contests this year for GREAT party ideas! I have more party ideas people have submitted, keep your eyes open for them to be posted in the next few days! A recent survey suggests that more people are born on October 5 in the United States than any other day. October 5 holds a not-so-surprising significance, as conception would have fallen on New Year's Eve. The least common birth date in the U.S. is May 22nd.